It hasn’t happened just yet, but Obama is seriously considering assuming federal control of private property foreclosures and renting them out as reported in the Wall Street Journal. Today’s post headline may be coming to a newspaper near you very shortly. Big government…just keeps getting bigger. Our God King Obama has decided once again that he is displeased with home prices and their continued decline and that something must be done. He is perturbed that while home prices continue to fall, rents are rising. As a result of our King’s emotions, our Protector has announced a proclamation across this great land, reaching far and wide, asking the Noble Lords within his administration to investigate the possibility of the Federal Government scooping up hundreds of thousands of foreclosed homes and renting them instead of selling them. Such a law would allow our government and King Obama to expand their authority and control over personal property, with King Obama and the Nobles in Congress determining who will rent out the foreclosed homes, for how much, and to who. Sadly, home prices are too high for most American families, and the foreclosure inventory was slowly bringing homes back to being affordable. 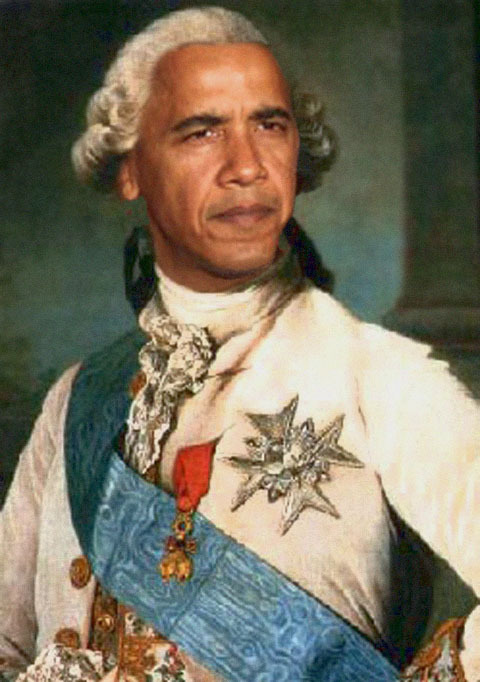 King Obama has decided that home prices must stay high and those of you who had hoped to buy one day, will not be able to do so, but King Obama wants you to know that your sacrifice for “the public good” makes you his special children in the eyes of our God King. So fear not weary serfs! King Obama will allow you to rent one of his foreclosed rental homes instead. Is not King Obama and his Big Federal Government generous and benevolent? I say ’tis so indeed! But be wary my fellow serfs, do not upset our Great and Almighty King or you may find your application to rent one of his homes denied! Take heed my warning! May his eyes one day fall upon you and grace you with his awe. The key point in the article is that the Federal Government is intentionally sitting on these properties, preventing them from going into inventory for sale because they want to protect people who already own a home by keeping prices artificially high. If you are a renter, you’re worthless to Obama, The Fed or our Government. The tax credits, home buyer incentives, tax suspension on short sales, mortgage modifications and foreclosure moratoriums have all been efforts by our Government to keep home prices high. Just add this latest one to the list. Of course that means the “wanna haves” can never have, but that’s not what they care about in D.C., despite all that stupid insulting rhetoric about making homes affordable. If all the foreclosed homes that Fannie and Freddie and the banks are sitting on were released into for-sale inventory tomorrow, homes would be affordable to everyone in a week. I hope everyone is getting used to the government lying to you. I thought the only constants were death and taxes…I was wrong.